The United States Marshals Service lays claim to being the oldest law enforcement agency within the federal government, and boasts some of the most famous lawmen in the history of policing, such as the brothers Wyatt and Virgil Earp, to name just two. Popularized in television and movies, especially The Fugitive and U.S. Marshals, not to mention Tombstone and countless other classic westerns, thousands of aspiring police officers and special agent hopefuls year after year find themselves wondering just how to become a U.S. Marshal. 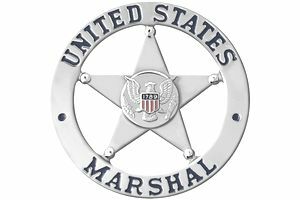 Like most federal jobs, and law enforcement and special agent jobs, in particular, U.S. marshal careers are highly sought after. Of course, that also means they're highly competitive. If your goal is to become a marshal, you're going to have to work hard, both mentally and physically, to be competitive and land the job you want. Like nearly any other law enforcement job, the U.S. Marshals Service has certain minimum requirements for applicants. These are the absolute, bare minimum qualifications you'll need for your application to be considered. Also, keep in mind that meeting these requirements does not guarantee you'll get hired. You'll still have to demonstrate other knowledge and skills, and undergo a physical assessment before you make it the training academy and into a great career. Specialized work experience can include other law enforcement jobs, such as working as a detective or investigator, especially in work that involved conducting investigations and preparing search and arrest warrants. Education requirements include either at least one year of graduate school coursework or a demonstration of superior academic achievement in a four-year degree, which means you'll need to have earned at least a 3.0 on your college coursework. If you meet the minimum requirements, you'll move on to a lengthy and rigorous hiring process that will involve a written test, physical assessments, and medical screening. Be prepared to demonstrate your mental and physical acumen at every step of the process to maximize your chances of success. As you're filling out the application, make sure all of the required sections are complete and accurate. It would be terrible to find out that you missed out on a great career opportunity because of a careless mistake on the job application. The U.S. Marshals Service requires job candidates to pass a competitive examination, broken up into two parts. The test is administered by the federal government's Office of Personnel Management. The first part of the test measures candidates' situational judgment. This part of the exam will measure your ability to use sound judgment and make good decisions, based on a series of multiple-choice questions. The second part of the test assesses your writing ability. In this part, you can expect to read sentences and identify errors or choose the sentence that is grammatically correct. Again, these will be multiple choice questions, but you will need to have strong reading and writing skills to be successful. Part of the assessment process for potential U.S. Marshals includes a structured interview. If you successfully pass the written exam, you'll move on to this next step. The interview takes place at regional offices around the country before a two-person panel. The interview is designed to allow you to demonstrate skills and traits, such as teamwork, self-management, interpersonal skills, integrity and honesty, oral communication, and problem-solving. The interview questions will likely be experience-based and ask you to discuss the times you've utilized the traits listed or solved a difficult problem. Be detailed in your answer and be sure to identify the problem, why it was a problem, what you did, what the outcome would be, and what you learned from the experience. The next step in the hiring process for U.S. marshals will be the physical assessment. You'll want to be in top physical shape to pass this part of the process. Physical requirements for U.S. marshals include a 1.5-mile run, one-minute push-ups and sit-ups, a sit-and-reach, and a body-fat percentage test. Start an exercise program to get into the best physical condition possible. The requirements listed are the minimum physical standards; you'll want to be able to consistently exceed these requirements to remain competitive. Check with your doctor to make sure you're healthy enough to begin exercising, and start a fitness program to get into the proper condition. Once you've successfully made it through the various assessments, you will need to pass a very thorough background check. Naturally, the Marshals Service wants to hire the most ethical applicants, and job candidates need to be above reproach. Expect your past to be rigorously scrutinized. Your previous employers will be contacted, as well as any ex-spouses. You'll also face a criminal history and credit check. The next step will be a thorough medical evaluation, which will include vision and hearing screening. Applicants' vision must be corrected to 20/20 in each eye and may not be worse than 20/200 uncorrected in either eye. Hearing loss cannot be more than 30 decibels. You'll also need to be able to distinguish colors and demonstrate accurate depth perception. Due to the rigors of the job, some medical disqualifiers may include hypertension, diabetes mellitus, and heart disease. If you're at the top of your game and have a clean background, you may find yourself among the fortunate few to get hired and invited to attend the U.S. Marshals basic training program at the Federal Law Enforcement Training Center in Glynco, Georgia. This 17.5-week training program is both mentally and physically demanding. Seven exams are given throughout the length of the academy, and you are required to maintain your level of fitness for the duration of your training. Training topics range from first aid and defensive tactics to law and officer safety, all subjects vital to a successful law enforcement career. Not everyone can make it as a U.S. Marshal. It takes very dedicated and motivated people to make their way through the hiring process and pass the rigorous training academy. The salary and benefits are well worth the hard work, though, as are the rewards of knowing you'll be working in a challenging and important career. If you think you have what it takes, you may just find that working as a U.S. Marshal is the perfect criminology career for you. What Are the Most Interesting Jobs in Criminal Justice?